Daniel Lemire is a computer science professor at the Université du Québec (TELUQ). He has also been a research officer at the National Research Council of Canada and an entrepreneur. He has written over 70 peer-reviewed publications, including more than 40 journal articles. He has held competitive research grants for the last 15 years. He serves on the program committees of leading computer science conferences (e.g., ACM CIKM, WWW, ACM WSDM, ACM SIGIR, ACM RecSys). He is a long-time social media user: his blog has thousands of readers and was featured on Slashdot, Reddit and Hacker News. He was one of the first Twitter users: @lemire. 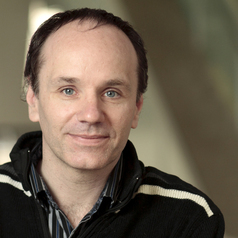 He is an adjunct professor at UQAM within the computer science department where he is a member of the LATECE laboratory. He is also an adjunct professor at the University of New Brunswick within the computer science department.